You do not have to be able to read musical notations to attend the courses. Needed: Chromatic hurdy-gurdy, knowledge of playing 4 stroke and feeling more or less comfortable with your playing at a basic level. In this workshop we will focus on different techniques that we can use to get a more dynamic and variated interpretation of melodies. This includes also exercises to help our fingers to get stronger, faster and longer then they were before. We will also look at exercises that can develop and extend our trompette technique, to get a more versatile and variated playing of rythmical patterns. The workshop will also include some basic level of dissociation between both hands and tools to develop our sense of musical timing. The material of the workshop will be mainly Swedish traditional music. I think that this workshop suits anyone who is interested in developing their hurdy-gurdy playing by getting new inspiration, new tools and exercises to work with. I think that we will have a nice time together, sharing our knowledge and questions with each-other in a supportive way! For me it is important that you during this workshop get inspired, that you try new things and that you learn some helpful exercises which you can continue to work with after the course. On the way to 4- stroke. Many hurdy gurdy player know the problem: The two-stroke is fine, the triple stroke works, but the four-stroke proves sometimes persistent. Simon’s course will focus on this topic. My workshop will be addressed to hurdy gurdy players with some experience and previous knowledge, but the content will be suitable for players at different levels. You should already know how to play with 2-stroke. We will be playing heed to melodies without reading musical notations and in the following work on rhythm and several voices arranged on that melody. The workshop will then be focused on problems that occur during the first part. In addition, we will be working on ratchet technique and ornamentation to individualize your playing technique. The workshop will use almost no musical notations, focus on the music and train the hearing. Like the workshop of Johannes Just my workshop is aimed at players who have already gained first experiences with the hurdy gurdy. Especially the interaction of the right and left hand is particularly difficult for many players. Here we will work out ways and solutions to succeed faster without losing the fun of practicing. In addition to traditional pieces, I will also bring a music piece of my previous band “Nachtgeschrei”, which we will work out in the group and will interpret polyphonic. My workshop focuses on players who want to learn hurdy gurdy or have little experience with the instrument. Anyone who has already visited one or two of my 1,5h workshops during the summer is in the right place. We will focus on playing melodies as well as 1- and 2-times beat. Using simple compositions, I´ll show you how to to rhythmize them with ratchet and what exercises will bring you to success quickly. What does it mean to playmusic together? Where is the difference between playing together and at the same time next to each other? Based on beautiful melodies we want to focus on presentation, harmonization and accompanied playing. In addition to dealing with the basics of playing music, we will enjoy finding the common “groove”. Prior to the workshop you will receive musical notations and mp3 or midi files. Requirements: Basic knowledge of the instrument you are playing. It would help if you can read notes but is not compulsory necessary. Open to all instruments. Please write the instrument(s) you play in the comment field during registration. No loan instruments are provided for the ensemble course. My workshop is aimed at more advanced players. We will be focusing on ornamentation, melodies from Cantigas de Santa Maria, polyphonic ensemble playing of modern pieces and renaissance music as well as French and German dancing music. We will play on huemmelchen. I bring along my schaeferpfeife, Great Highland Pipe etc. and like to introduce them. 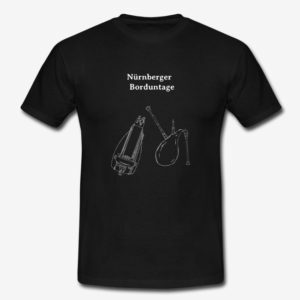 You are fascinated by huemmelchen or bagpipes in general and want to have a try? Or do you already have first experience and would like to get some basics for technique and playing? Then this workshop is for you! The course is aimed for beginners and beginners with first experience and gives you the opportunity to get to know huemmelchen, play the first notes, train techniques of blowing, pressure and playing to get rid of typical difficulties with the coordination every beginner has. We want to play beautiful music by travelling through the centuries to get to know pieces of very different musical repertoires.